FORT BRAGG, N.C. (Mar. 8 - 9, 2016) - Senior Commanders and Command Sergeants Major from U.S. Army Forces Command, U.S. Army Training and Doctrine Command, Army Installation Management Command, the Army National Guard and Army Reserve met March 8 at Fort Bragg, N.C., for an remarkable symposium to collaborate and synchronize key Army initiatives and critical topics affecting Soldiers and Families, and "Shaping The Future Force." The historic summit, many years in the making, focused on key Army priorities: Maximizing unit readiness, realistic training, individual readiness, Army 2025, implementing Soldier 2020, Army University, unit sourcing for Combatant Commanders, installation management, leader development, and other vital topics affecting a rapidly changing Army and world. 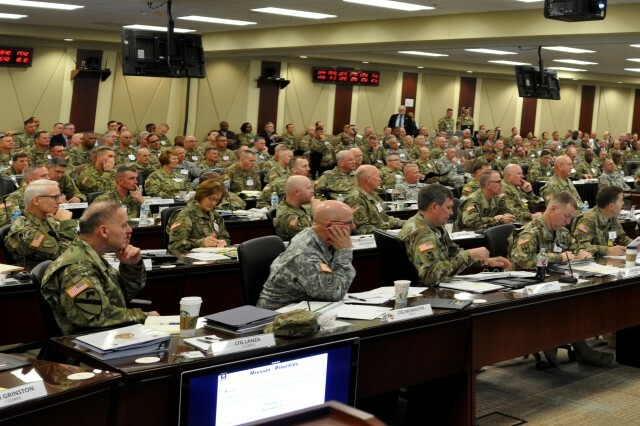 "In this room we have commanders of the U.S. Army Centers of Excellence, commandants, commanders and command sergeants major from throughout Forces Command and Training and Doctrine Command, U.S. Army Reserve two- and one-star commanders, National Guard commanders and five Adjutant Generals," said Gen. Robert B. "Abe" Abrams, in his welcoming remarks to this Total Army Force gathering. Aligning with Army Chief of Staff Gen. Mark Milley's key Army priorities, Gen. Abrams discussed Forces Command's updated mission statement, with its emphasis on readiness: "FORSCOM trains and prepares a combat ready, globally responsive Total Force in order to build and sustain readiness to meet Combatant Command requirements." 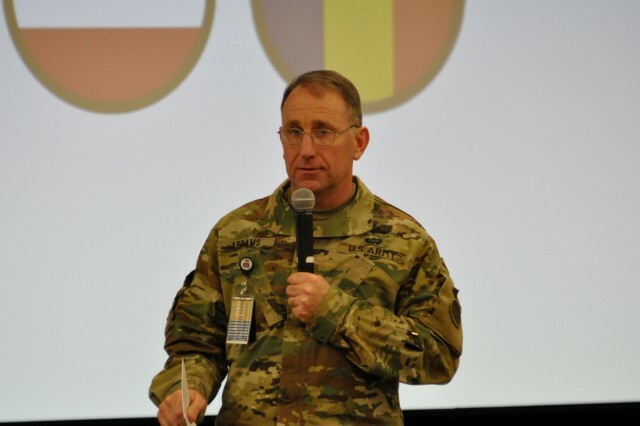 "This is the first time the word 'readiness' is included in FORSCOM's mission statement," he pointed out. "We are all about building and sustaining readiness across the force." Given the high demand for FORSCOM units and conventional land-power forces in the active-duty Army, National Guard and Army Reserve, Gen. Abrams also discussed five ongoing challenges to sustaining Army readiness. "Time … available time is our biggest resource shortfall," Gen. Abrams said. He listed four other challenges, given the pace of military operations over the past 14 years: can't assume technical and tactical competence/expertise; a general lack of repetitions in combined-armed maneuvers; the complexity of Mission Command systems and rapid rates of change; and ongoing Army force reductions and reorganizations. "We're reducing and reorganizing at the same time," Gen. Abrams said. 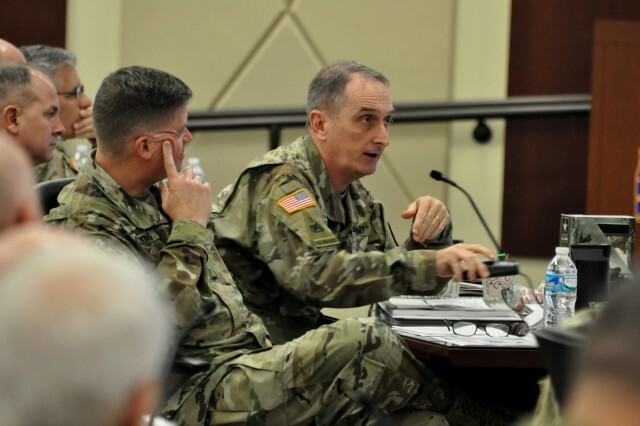 "This adds challenges to sustainable readiness … that goes across the Total Army Force." 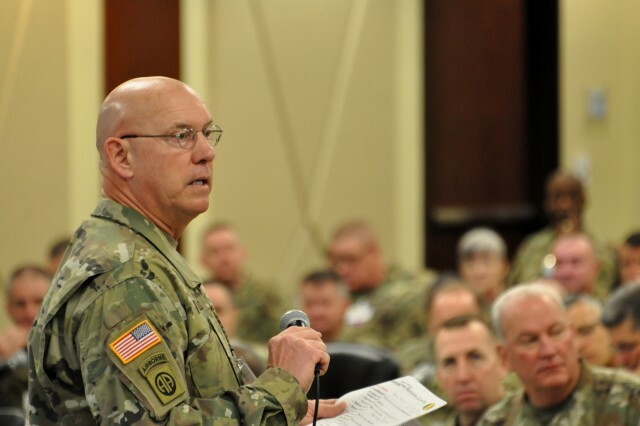 "We have to think differently about how we build and sustain readiness. The operating environment we're going to fight in and operate in is completely different. The size of our force is different. Authorities are different. How we're going to integrate as One Army is different. So there's a lot of difference. We have to think differently about how we build and sustain readiness. " Army Training and Doctrine Command leaders also focused on readiness and today's opportunities as the Army evolves. 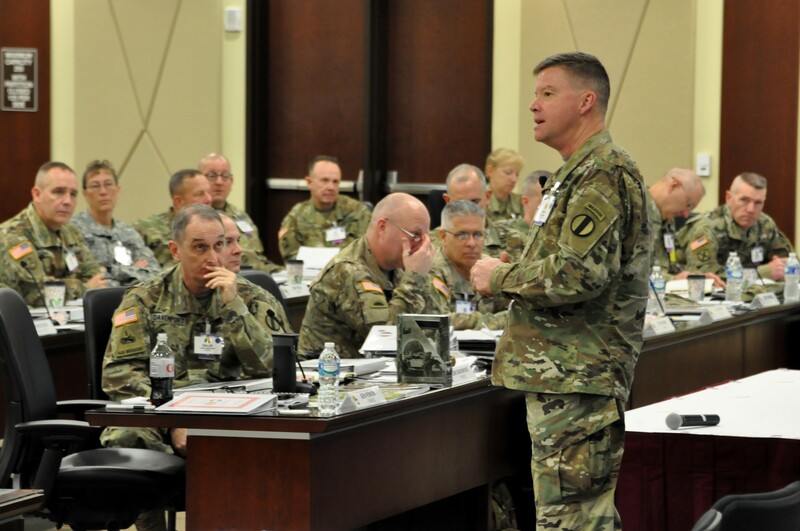 "We design, acquire, build and constantly improve the Army," said Gen. David Perkins, commanding general of the U.S Army Training and Doctrine Command "That's what we are for. That is what makes TRADOC a different organization than in any other army, because it is one-stop shopping. The Army command includes nearly 37,000 Soldiers and 13,000 civilians working in 26 locations through-out the United States. In outlining TRADOC's mission, Perkins described his organization as the U.S. Army's "design & build firm," much like an architect. TRADOC's Army Capabilities Integration Center lays out the blue print for the Army, while the U.S. Army Recruiting Command obtains the Soldiers, and the Combined Arms Center trains those Soldiers. 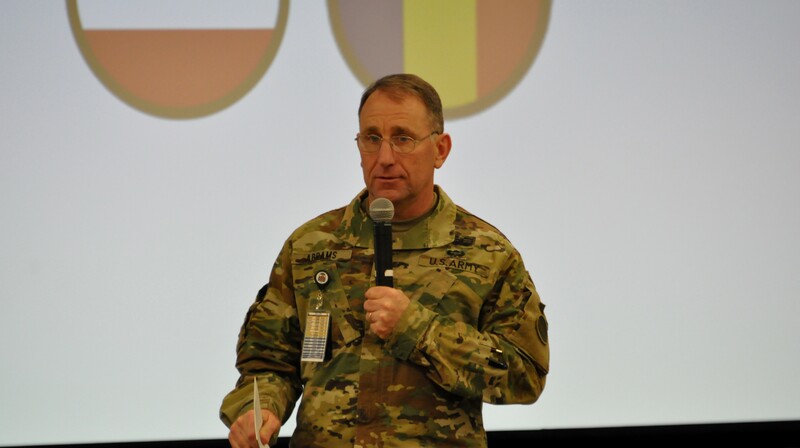 Gen. Perkins said FORSCOM is TRADOC's "largest customer," noting "Forces Command makes ready" the Army units: platoons, companies, battalions, brigades, etc. 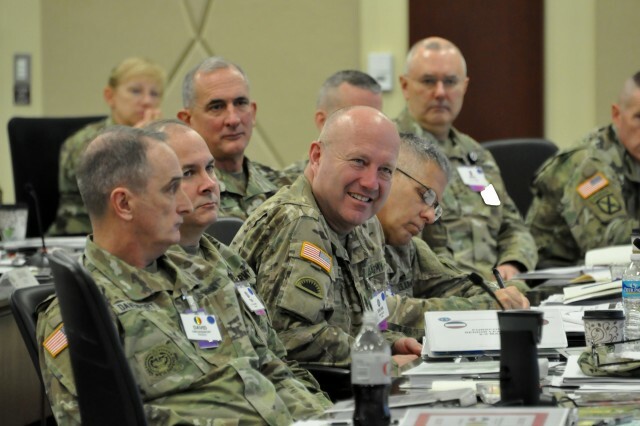 As part of "develop the future force," TRADOC and Forces Command are working on forward-looking operations associated with "Force 2025 and Beyond." These include Army learning, development of Army and joint concepts, and a host of Army 2025 initiatives to shape the future Army. The focus is to improve the effectiveness the army and the joint force across the range of military operations in support of national strategic objectives. Gen. Perkins emphasized that today's main drivers of innovation in effective organizations are "information flow," the collaboration of ideas and sharing of information;" and "decision rights," empowering individuals to make decisions and take the initiative. 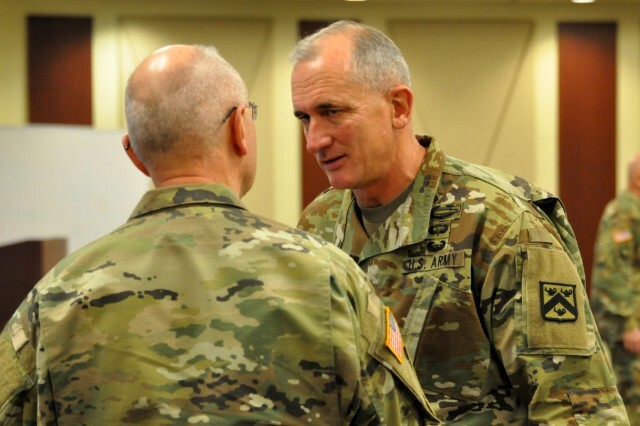 Army Installation Management Command Commanding General Lt. Gen. Kenneth R. Dahl pointed out both commands are some of the largest customers of the Army's 75 active-duty installations and garrisons. He outlined ongoing initiatives to maximize readiness by maintaining these Army posts' vital services and infrastructure despite ongoing budgetary constraints. He also acknowledged the vital relationships and partnerships Army posts maintain with their neighboring civilian communities. Both FORSCOM's Command Sgt. Maj. Scott C. Schroeder and TRADOC Command Sgt. Maj. David S. Davenport emphasized the vital role of Noncommissioned Officers and enlisted Soldiers in meeting the Army's current and future challenges. 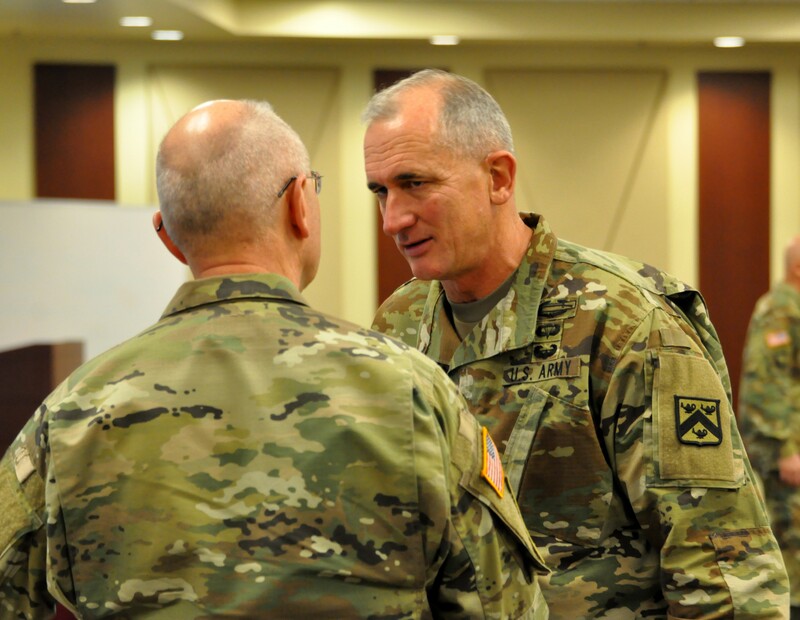 Both discussed continuing priorities associated with Soldier "talent management" and leader development. As part of the NCO 2020 strategy, the NCOs discussed the recently introduced "Select, Train, Educate, Promote," or STEP, initiative. "Select" means Soldiers who meet Army standards -- based on their performance and potential -- get the opportunity to compete for promotion. T -- "Train" recognizes the operational domain's responsibility in training Soldiers. 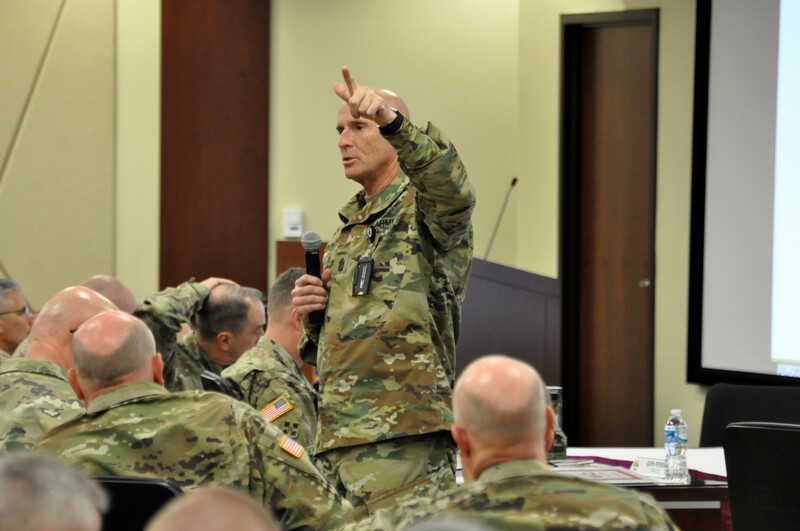 E -- "Educate" represents the formal education and training of developing leaders -- that's what TRADOC does. 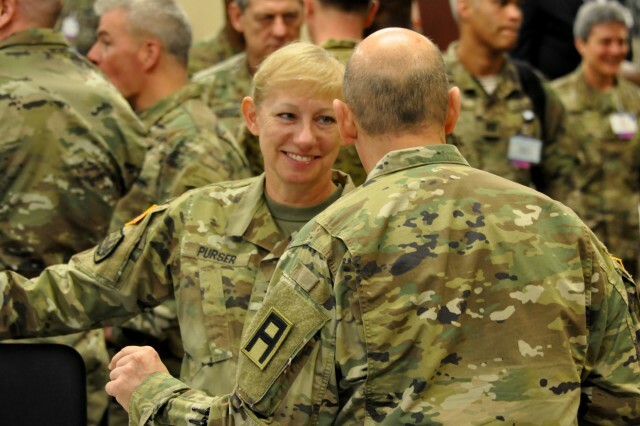 Education ultimately leads to "P." P -- "Promote" means Soldiers who have met all requirements will earn the rank and be officially promoted by U.S. Army Human Resources Command. Command Sgt. Maj. Schroeder also reminded the summit's audience that simple leadership actions keenly affect a unit's teamwork and a Soldier's morale, like a letter recognizing individual accomplishment, a photo from a ceremony, unit-level competitions and the vital role of teamwork, as well as the importance of experience, judgment and confidence among today's highly professional enlisted force. Given the focus on Soldiers, the TRADOC participants included over a dozen Army education centers displaying their latest resources and references for today's tech-savvy warriors on the move: computerized references, robotic training simulators, tactical technologies and global cultural resources.